Legislation has been proposed to modify the Nutritionist Licensure statute in the state of Montana. HB 273 (https://leg.mt.gov/bills/2019/billpdf/HB0273.pdf), “Revise exemptions under nutritionists’ licensing regulations,” would allow unlicensed practitioners to provide “individualized nutrition assessment, guidance, encouragement, or recommendations” in our state. It is vital that MTAND members act now to protect our licensure. This legislation is currently in the House Business and Labor Committee. The committee will have a hearing for the bill on Wednesday, January 30th. Please reach out to your legislators in the House Business and Labor Committee immediately to ask them to oppose HB 273 and protect Montana residents. Is your House Representative on the Business and Labor Committee? If yes, call and encourage them to oppose HB 273. Call or email (preferably both) your legislator. Use the talking points below to express your concern. If you are able to attend the hearing in Helena, MT and testify on Wednesday, January 30th at 8:30 AM or want to help with additional outreach, contact Tara Jones at tarajonesrdn@gmail.com or at 406-381-3591. As your constituent and a Licensed Nutritionist, I ask you to protect Montana residents by maintaining the existing nutritionist licensure. Oppose HB 273. There are more than 250 Licensed Nutritionists in the state of Montana. These men and women have undergone intensive training in order to provide proper nutrition education appropriately and effectively. Licensed nutritionists provide competent advice about integrating food and nutrition into a healthy lifestyle. People also need reliable advice on therapies and practices that are safe and appropriate for particular diseases, health conditions or complex dietary requirements. The proposed legislation, HB 273, opens the door for inaccurate and even harmful practices from unqualified practitioners. Patients and communities bear the physical, health and financial costs of navigating and receiving conflicting, confusing and often inaccurate nutrition information. 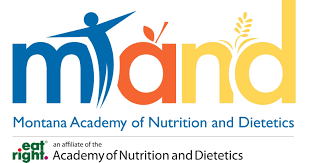 In too many instances, substandard practices and unqualified practitioners cause significant harm and even death when recommending or providing incorrect nutritional interventions that are not scientifically validated. Montanans with serious medical issues could be confused and put in danger if unlicensed providers don’t know or understand the implications of their suggestions. (Provide examples of how you have seen this in your practice.) Care that is provided should be provided by those qualified to do so. MTAND is open to working with other groups and organizations to promote health and well-being in a safe, evidenced-based way, however, the proposed legislation would allow for dangerous practices by unqualified practitioners. If nothing else, please call the kind legislative office operators at 406-444-4800. Leave a message for the Business and Labor Committee to protect existing nutritionist licensure in Montana and oppose HB 273. They will ask you to provide your name and address when you leave this message for the committee.